Week 11 consists of 7 Big Ten conference football games. Let’s take a look at the recent history of each matchup. 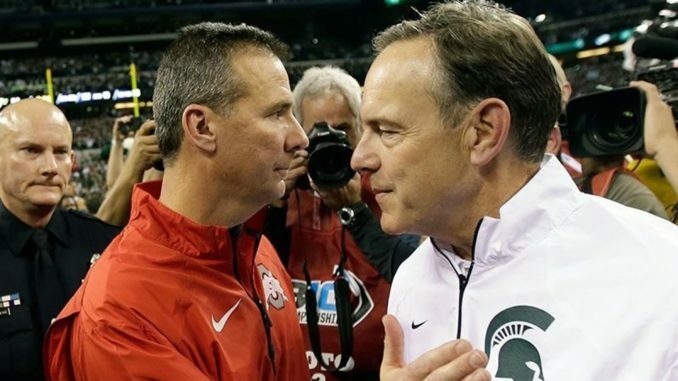 Significance of 2018 game: Ohio State still has a National Championship in it’s sights, plus a Big Ten title. For either to happen, they need to win out until they face Michigan on 11/24. Significance of 2018 game: Disappointing season for both teams. Penn State will not win the Big Ten East, with three losses to the top teams in the division, while Wisconsin still has a fighting chance in the West, but has not looked like the same Wisconsin team in recent weeks. Significance of 2018 game: A Northwestern victory means they have a one game (at least) lead over everyone else in the Big Ten West, with only Minnesota and Illinois remaining. Iowa is the biggest challenge between the Wildcats and the Big Ten title game. An Iowa win simply means chaos between these two teams, Wisconsin, and Purdue. Wolverines have won three straight (Harbaugh 3-0) and have won by an average score of 54-10, including a 78-0 victory in 2016. Significance of 2018 game: Pretty simple Michigan hasn’t lost since week 1. They are rolling towards a Big Ten East title game against Ohio State. If Michigan wins out they will be a lock for the playoffs. Significance of 2018 game: Not much. Nebraska, at 2-7 is not eligible for a bowl game in 2019. They are just playing out string with a true freshman QB Adrian Martinez and a young team looking to build momentum towards 2019. Illinois is 4-5 and needs to win 2 of their last 3 if they want to return to their first bowl game since 2014. That almost definitley means a win over Nebraska and at least splitting the final two against Northwestern and Iowa. Significance of 2018 game: Despite the turmoil at Maryland around the head coaching position, Matt Canada has done as good a job as he can keeping this team competitive and at 5-4, a win Saturday will send them bowling. Indiana is just 1-5 in Big Ten play and needs to win 2 of 3 games to get to 6 wins, which means wins over two of Maryland, Michigan, Purdue. Significance of 2018 game: Purdue still has a shot at the Big Ten West title. They need help, but they first need to help themselves and get the win. Minnesota, who is 1-5 in the conference, needs to win 2 of their last 3 to qualify for a bowl game. They just fired their Defensive Coordinator after Illinois put up 55 points last week and it seems as if the PJ Fleck honeymoon is now over.